Historically, science fiction has been good at opening up space for creatives to imagine possible futures. By speculating about tomorrow, writers, artists and filmmakers can freely grapple with the obstacles, fears, injustices and looming questions pertinent today. However, despite displaying immense creative flexibility when visualizing future technologies, modes of transportation and alien invasion techniques, human populations in the sci-fi genre remain ― with some notable exceptions ― resoundingly cisgendered, white and able-bodied. An upcoming magazine called “Disabled People Destroy Science Fiction” hopes to “put disabled voices at the center of the narrative,” as Sjunneson-Henry put it, and make normative imagining of the future a thing of the past. 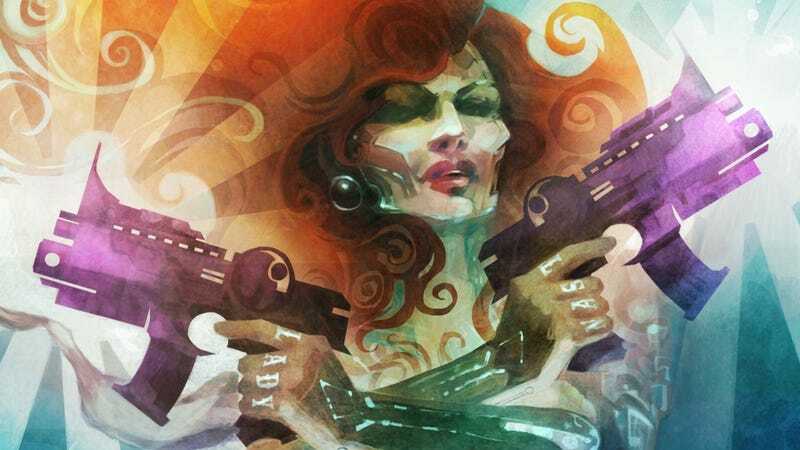 The first three editions of “Destroy,” published by Lightspeed Magazine, are “Women Destroy Science Fiction,” “Queers Destroy Science Fiction” and “People of Colo(u)r Destroy Science Fiction.” Each disrupts a specific vision of the future that’s decidedly outdated. Through generating new and gripping stories from unrepresented perspectives, the magazines hoped to inflect readers’ understandings of the present through vivid visions of the future. While a number of writers have already contributed to the upcoming anthology, once a certain Kickstarter goal is reached, unsolicited submissions from disabled science fiction writers will be reviewed for acceptance into the publication. The volume is set to feature fiction, nonfiction, poetry and personal essays. It’s well worth checking out the in-depth information about this and the previous “Destroy” anthologies in the above linked article (as well as the kickstarter page), whether it’s out of love for a new wave of science fiction writing, possibly contributing your own work as a disabled writer, or just to check out how to help fund the project by joining the Space Unicorn Ranger Front.